two peas & the dog: food. fresh pasta. birthday gift! 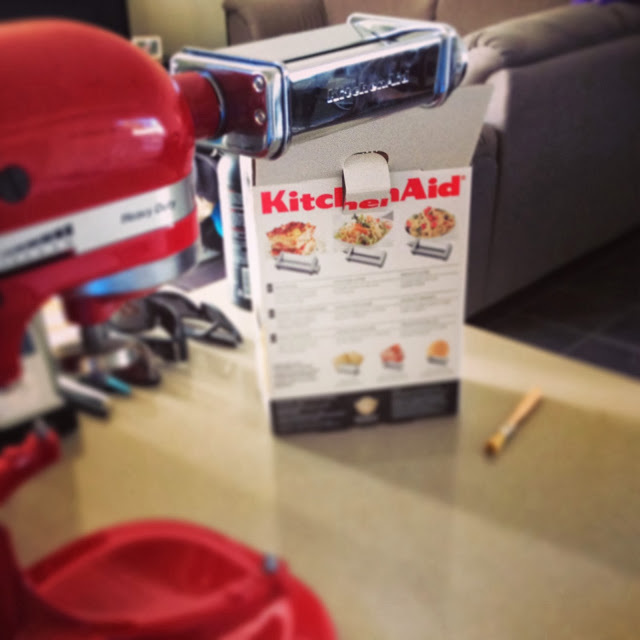 So far, my KitchenAid pasta attachments have been amazing and delicious. 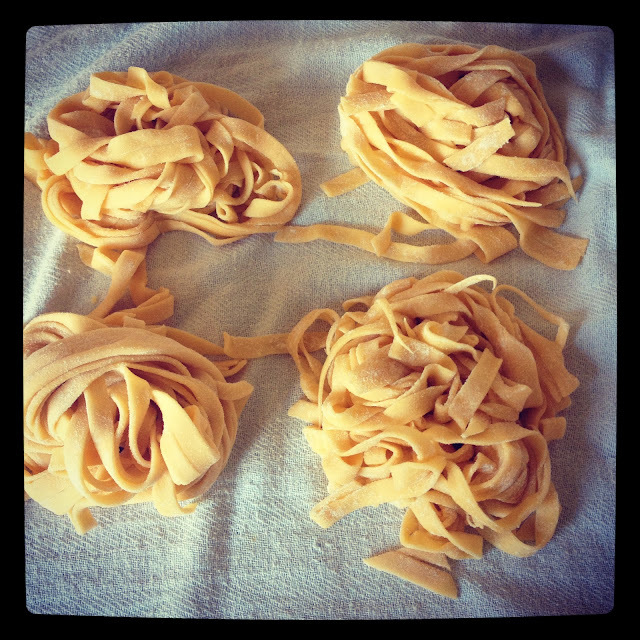 First step - make fresh pasta from a very simple recipe. 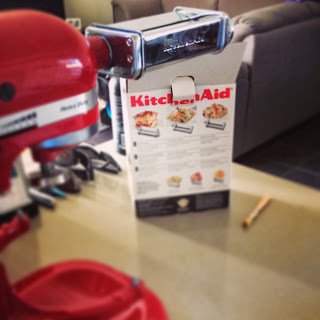 KitchenAid's The Ultimate Mixer Cookbook has been helpful so far. Below is the basic pasta recipe I've used a few times. If you have a suggested recipe or tips on how to make/store fresh pasta, I'd love to hear them! Feel free to leave a comment on the blog, Facebook or tweet it to me. Enjoy! 300 g flour, 3 medium eggs and 1 Tbsp olive oil all go into your mixing bowl. On speed 1, mix slowly until thoroughly incorporated. Change out the flat beater for the dough hook and knead on speed 2 for up to 5 minutes until a smooth elastic pasta dough is formed. Wrap in clingfilm and leave to chill in the fridge for at least an hour. Attach the pasta roller to the mixer and set the adjustment knob to 1. Cut the dough into eight pieces and pass one portion very slowly through the roller at speed 2, then fold it in half. Do this four or five times. When the dough is no longer sticky, set the adjustment knob to 2 and pass the pasta through, but do not fold the dough this time. Continue rolled the dough through four or five times on each setting until the desired setting is reached. Repeat with the other portions of dough. The pasta dough is not ready to be cut.